"The M9 will come next year with FF chip. Photokina will bring a Noctilux 0.95 and a compact Leica "Allah" CM/Cl. They also plan to ride the M8 $1750 upgrade train until doomsday because it's money in their bank ....!" Now all we have to do is wait. 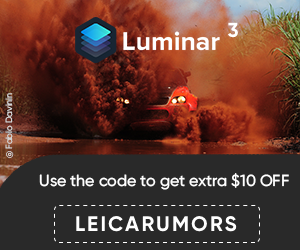 Leica Rumor: new lower price rangefinder, an R10, and the new D Lux-4. This entry was posted in Leica Compacts, Leica D-Lux, Leica Lenses, Leica M, Leica M9. Bookmark the permalink. Post a comment or leave a trackback: Trackback URL.